Neuromarketing: does it help unlock sales? When you work as a marketing, design consultant, researcher or you are an Entrepreneur, Start-up or SME owner, you hope that your customers make the decision to engage with your product or service. Whether you do this through social media or other sales channels you want your customers to participate with your offer – frequently through purchase. The problem is, most businesses still look at it solely from an intellectual, analytical framework and professionals tend to make decisions based on data only. As the challenge increases, marketers, brand managers, owners or CEO’s needs to understand customer buying habits on deeper level and translate their findings into compelling products or services. The title of this article says: “Neuromarketing, does it help unlock sales potential?” Most of the time when we meet with our clients, this is the central question that they ask us. Does it really help? When I was writing this article, I looked around myself and thought, “How and why did I choose these products around me?” or “Why did I buy from the same brand?”, “How did I end up choosing them and not other brands?”. How are we taking our choices after deliberately thinking everything through, collecting information and making up our minds before we actually execute the decision? 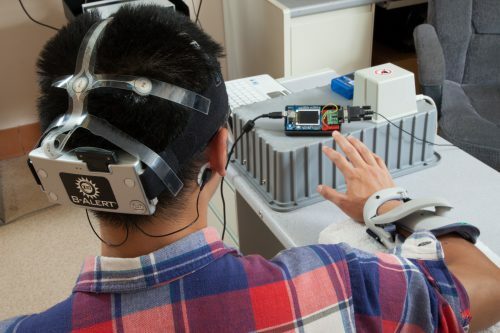 And how can an EEG brain sensor or Eye-tracking device help us to understand that? Does neuromarketing give me better data than alternative research techniques? Probably these are some of the questions what we all hope Neuromarketing or Consumer Neuroscience tools and methods will answer. The digital age and beyond marketers you can no longer buy user attention easily. Companies have to prepare themselves against a fierce competition and it is really difficult to forecast and keep up with the constantly shifting market and consumer behavior. To get customer attention, companies, marketers need new strategy, creative ideas, media and research methods. Consumer neuroscience, with its methods and tools, in part, influences the effectiveness of brand related communication campaigns, channels and brand loyalty. Over the last decade or so, the concept of Neuromarketing or Consumer Neuroscience has become accepted and well embedded in research practice. At the heart of the concept of neuromarketing is the notion that research should be informed by the best and latest knowledge, including knowledge, insights gained from biometric research. Before we go deeper what I want to do is to explain the basics of neuromarketing or consumer neuroscience, so we will know when we use the term, we will use it with precision and we will know how to describe what lies under the promise. Companies like Disney, Google, CBS or Amazon have used neuromarketing to test consumer impressions. But what do they use exactly? Neuromarketing can refer to the commercial application of neuroscience technologies and insights to drive business further. However, consumer neuroscience can refer to the theory which is the combination of consumer research methods with neuroscience tools. The ultimate goal of the field is to find neural explanation for consumer behavior. From now on, I am going to use the two terms interchangeably. Consumer neuroscience tools, such as EEG brain sensor, Eye-tracking, GSR, fMri or Facial coding are likely to be felt through better performing marketing activities, which in turn result in improved brand outcomes such as market position and financial performance. Consumer neuroscience, with its methods and tools, in part, influences the effectiveness of brand related communication campaigns, channels and brand loyalty. Companies like Disney, Google, CBS or Amazon have used neuromarketing to test consumer impressions. But what do they use exactly? The two definitions demonstrate that the concept of neuroscience based research does not only seek to link theory with practice, but that the outcome of those researches improved managerial practice and, more importantly, improved decision-making. The potential benefit of Consumer Neuroscience research is its role of linking neuroscience tools (EEG, Eye-tracking, fMRi etc.) to marketing practice. Different evidence compared to traditional marketing research methods. There are challenges to integrate consumer neuroscience research into practice, simply because research practitioners have different interest, capabilities, time and resource constraints than neuromarketing professionals. Both fields operate in a different circumstance that needs to be integrated to improve business performance. How to start with neuromarketing? The development of biometric practice in marketing requires an enhanced understanding of the nature of evidence and its role in marketing, advertising decision-making, and we have to add a range of strategies to take neuromarketing forward. We don’t believe that marketers need to turn their back on tried-and-true research techniques in favor of the apparent objectivity of biometric research. Rather, marketers should use neuroscience techniques when (and only when) it adds value. If it is used in isolation, such methods can be hard to interpret, but when combined with qualitative or survey-based research, they can add a powerful new dimension of insights. So how to start with neuromarketing? Does the approach tell us something meaningful about our brand or marketing communications? Does it tell us something new that we don’t already know and enough to justify it? Are consumer neuroscience tools are practical for your business? You are looking for good quality data to get good insight from it. 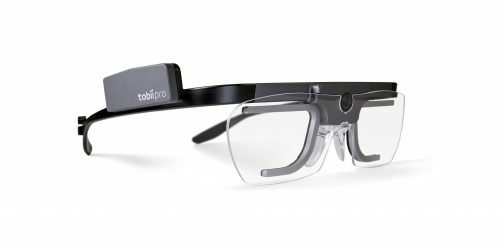 To do that you will need high quality equipment – such as ABM B-Alert EEG Brain Monitor or Tobii Pro Eye-tracker. Ask the same questions from neuromarketing researchers as you would ask from any traditional research marketers. Make sure you have a forward looking strategy. To use consumer neuroscience tools in your practice is not merely about creating a new marketing plan. Neuromarketing tools and methods can open up new communications channels and help marketers to meet with unarticulated needs. 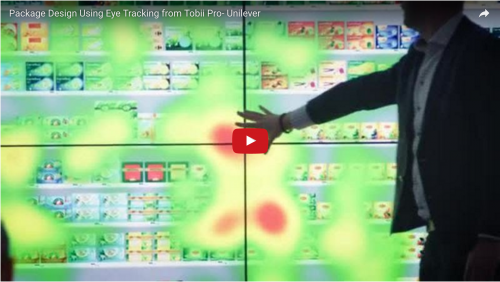 Eye-tracking or GSR, Facial Coding can help you to re-evaluate the way businesses and marketers approach product and service development. Add neuromarketing tools and methods while you are doing your research work. To be effective, marketers need to transform how they investigate user needs; together with traditional research these tools can provide powerful discoveries/ insights. Consumer neuroscience tools can help managers and marketers to build a more extensive evidence base. Same applies to neuromarketing. Use it as a tool and do not think of it as a goal that will solve all your problems. Don’t think neuromarketing is just another term created by clever sales person. Neuromarketing is an applied science and its associated fields have brought a fundamental new insight to the market research industry. Don’t ignore new techniques; understand how to integrate them into your practice. Brand has meaning beyond functionality that exists in people’s mind. Brand memory is a really crucial component in how we receive brands and its marketing messages, but also how customers imbue value and effect the way in which we perceive and enjoy products, services. Combined with traditional marketing research methods, Consumer neuroscience has the potential to help marketers to understand the unconscious drivers of choice.